Swarm season is raging in Albuquerque! In the past 3 weeks, we’ve captured 7 swarms some of which (she says blushingly) were our own. If you’ve ever wondered how to catch a swarm or wanted to learn more, here’s a quick photo essay documenting the process. First, prep the girls’ new home if you have the luxury of doing so (if not, they can stay in the cardboard box for an hour or so). 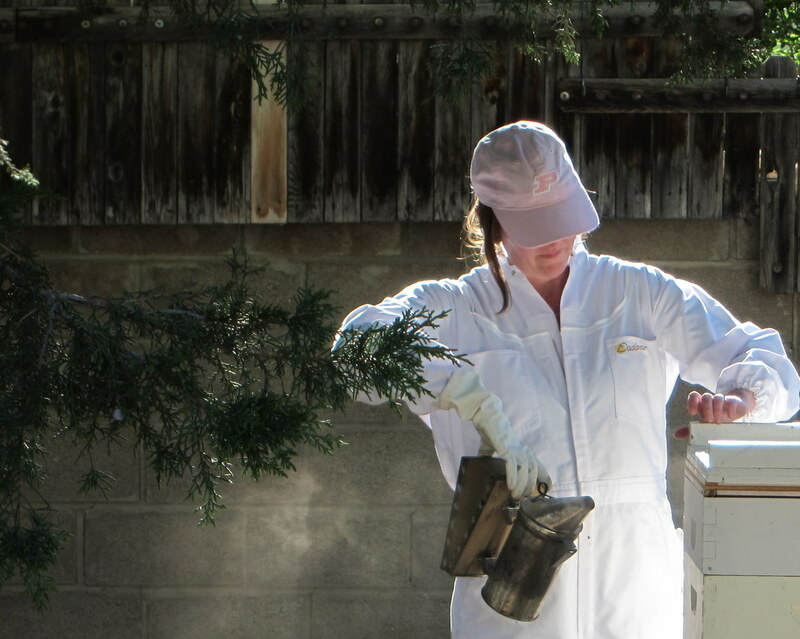 In our case, we’re combining today’s swarm with a small colony from earlier this spring. We’ll separate the two boxes with a sheet of newspaper allowing the girls to slowly become acquainted. We’ll also provide a top entrance for the new box filled with swarm bees. Next, we grabbed two ladders. I’m holding a cardboard box (any box will do) while Alex shakes the bees from the limb into the box. Really, it was that easy. 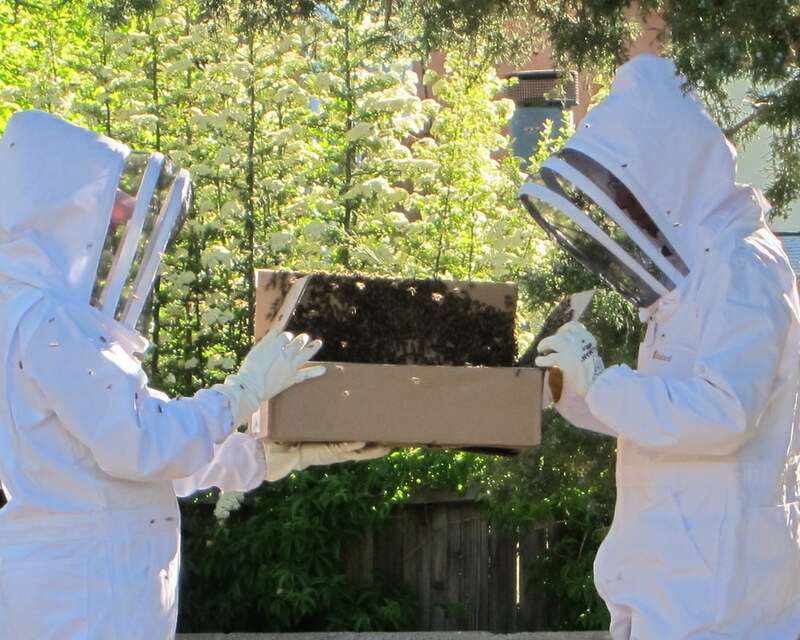 Once most of the bees are inside, we closed the box part way and carried it over to the new hive. 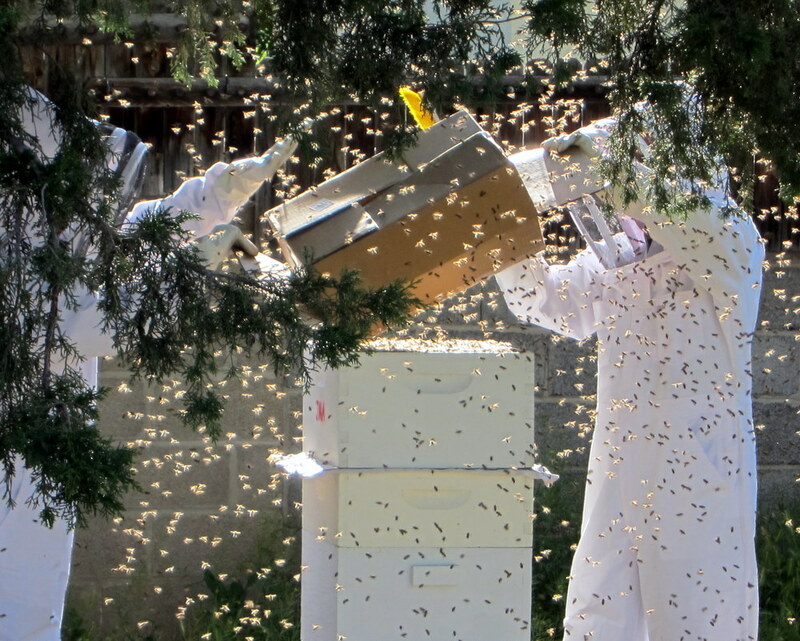 Step 3: Shake the bees into a hive and then… wait. With bees swirling everywhere (don’t worry, they’re docile when swarming), we dumped the box of bees into a deep hive body filled with frames and foundation. We gave ’em two bars of honey-filled combs from another stronger hive. And then… we waited. It took about 10 minutes for all the bees to find their way into their box’s top entrance. So then we packed up and went home for dinner, leaving the newspaper separator in place so that the girls from both top and bottom hives can slowly work their way together. If the swarm you’re catching is not on your property, please follow a few simple guidelines. Smile. You’re representing honeybees and your local beekeeping community. Remember many people are frightened of bees, so take a deep breath and be patient. This is an opportunity to win over someone new to the bee party. Introduce yourself to the homeowner and ask permission to enter their yard/property. Explain the process and patiently answer any questions. Ask permission before you destroy any brush or trim trees or shrubs. Be sure to clean up after yourself when you leave. Thanks for the great directions! I hope I get to experience this someday soon. One question from this novice: do both of your colonies have queens? Will they both live in the hive or did you put the swarm into a colony that lacked a queen? Also, I heard swarms often carry disease and can contaminate your bees. Is this true? Hi Jessica, thx for stopping by! Yep, the old colony has a laying queen and theoretically the swarm has a queen as well. 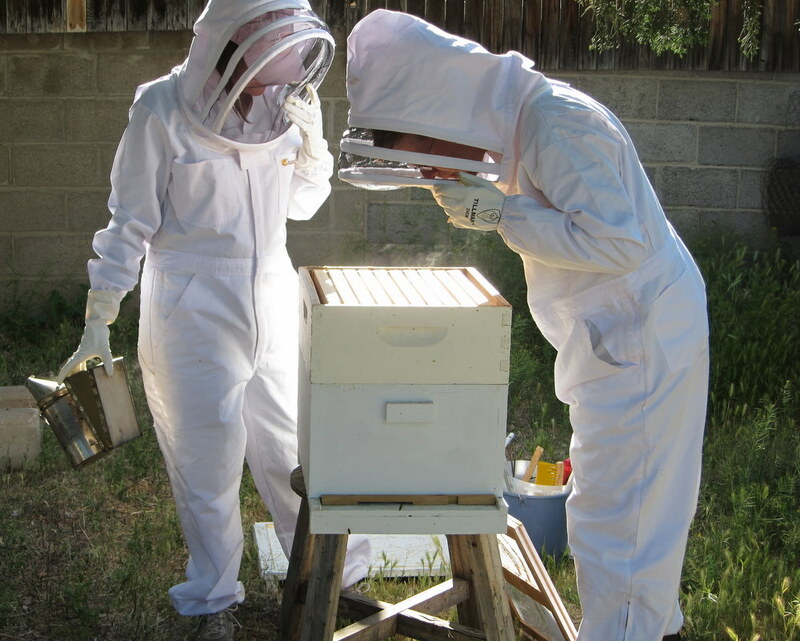 So the newspaper method gives the two hives time for their pheromones to mingle before they physically come in contact. At some point, there’ll be a battle royale and only one queen will survive. Or, less likely, they could decide to run a two-queen hive. Regarding the diseases, I haven’t heard worry about swarms. Personally, I like swarms as they’re part of a hive that actually survived the winter so one can say they’re “survivor” bees of a strain more likely to thrive in your particular environment. 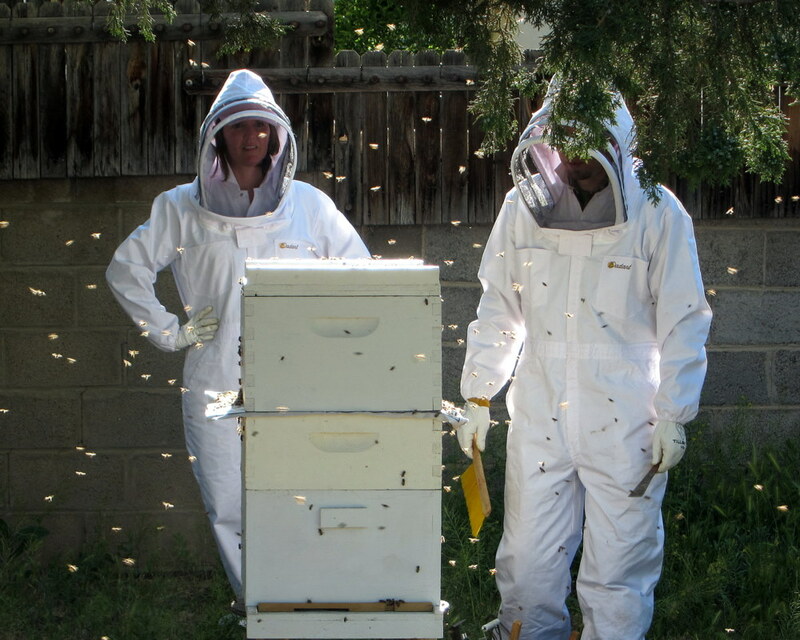 what a great post about catching a swarm!…but where can i find a swarm. i have a topbar hive box but alas, it’s empty…where can i get some bees? Hi Jessi! Most people find their swarms through word of mouth. You’re also welcome to contact a few local swarm-catchers and let ’em know you’re in need of a colony.